On Easter Week-end I was in Bettendorf visiting family and my 2017 Honda Pilot was having issues on Saturday April 20th early am. Called the dealership and described the problem and I was told to bring it down so they could look at it. I got there and they were extremely busy but before I knew it they diagnosed the problem and I was on my way! What a relief! I cannot thank Craig Mettler, Assistant Service Manager and technician Jordan. Both were so accommodating and friendly. This has been my first Honda and I have to say...the experience in the LaCrosse, WI and Davenport, IA so far has been top notch. Thanks again Craig and Jordan. You are the best! Sending smiles from Sparta, WI! 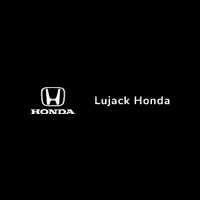 Best place to bu Honda! Very professional and price match with other competitors in town! Gave great value for my trade in , better than KBB best value.. Maurice is very nice and kind... work with him.. He is very honest and down to earth person.. I would highly recommend him! Really enjoyed my experience buying my wife's gently used vehicle. Maurice was the man - really a prince of a guy. I'll be looking for him on my next purchase, no doubt.